FacilitiesHotel Raaj Residency is a fine and elegant place to stay. With various basic amenities and lively neighborhood, guests are sure to enjoy a delightful stay. The rooms are modern and simple. With a touch of vibrant decor in unique rooms, it makes your stay refreshing and peaceful. The bright cushions add bursts of colour to the room. The hotel has free Wi-Fi access and card payment is available for the guests. Key attractions of Chennai near the hotel are Sri Swaminatha Swamy Temple, Krishnar Temple, and Sri Utthara Guruvayoorappan Temple. 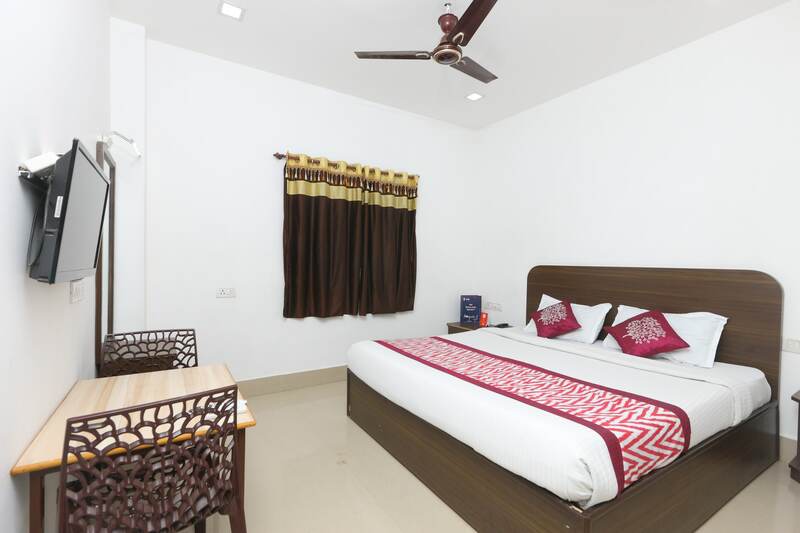 The hotel is near Pallavaram metro and railway station, convenient for outstation travelers.